Rapture (work in progress) featured 2 aerial dancers performing on the Fisher Center for the Performing Arts building designed by Frank Gehry, celebrating the architect's fluid style in motion. 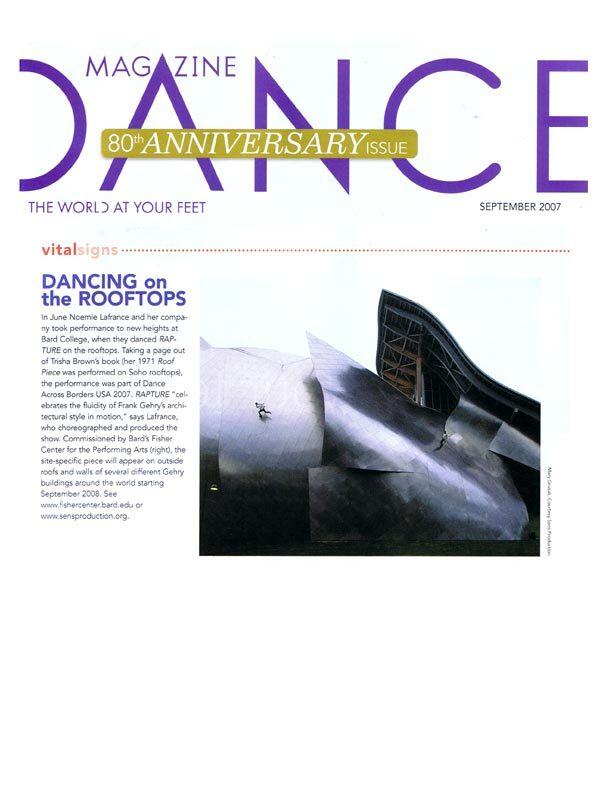 This short piece was created as a work in progress in preparation of a full evening length aerial performance that will feature seven dancers traveling across the stainless steel roof and walls of the building, using a custom rigging system. 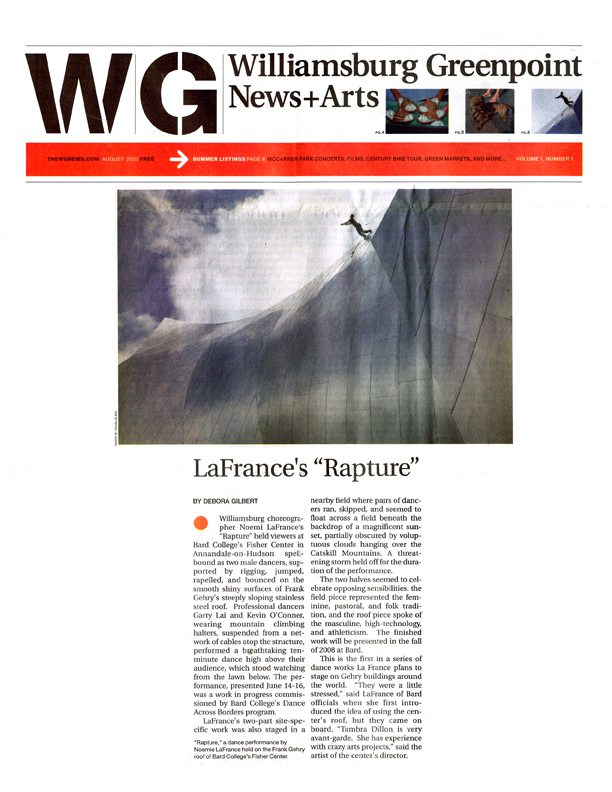 Rapture's full version will be performed on various Gehry buildings worldwide.